So…What exactly is Sheila Shine? Once again the field of chemistry has produced a product so outstanding, so different as to revolutionize the cleaning and polishing of your stainless steel. Sheila Shine works on: ● Stainless Steel ● Chrome ● Aluminum ● Brass ● Formica ● Porcelain ● Fiberglass ● Enamel ● Leather ● Furniture ● Wood ● Etc. The Sheila Shine Process requires no rubbing or polishing. It is so easy, so simple that it actually makes cleaning a pleasure, with unbelievable results. ● Polishes without rubbing. ● Prevents Liquid Penetration. ● Eliminates Streaking. ● Resists Finger Marks. Applying Sheila Shine: A little Sheila Shine goes a LONG WAY! Apply Sheila Shine lightly with a clean cloth. Use sparingly, removing any excess with a dry cloth. No rubbing or polishing required. You will get unbelievable results with very little effort. In short, Sheila Shine will clean, polish and protect in one easy step! For your surfaces: Sheila Shine removes dirt and grime, greasy film, water marks, it even covers scratches. 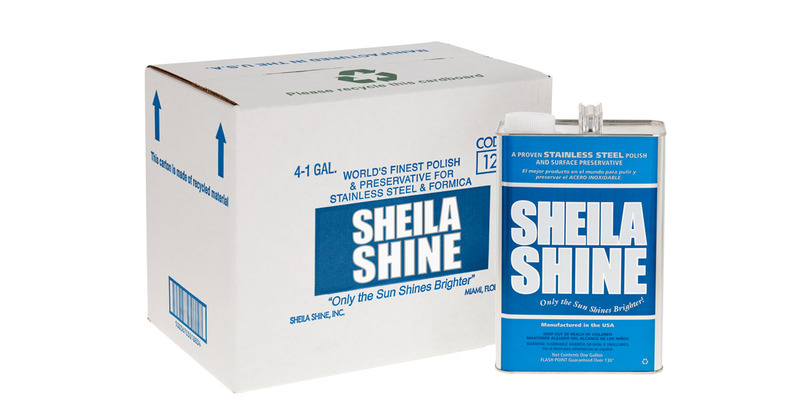 Sheila Shine immediately forms a protective coating on any surface, repels water, prevents penetration of harmful liquids, and retains its gloss indefinitely. Resists fingerprints and streaking. Preserves the surface against deterioration of all kinds! Sheila Shine does not contain acid, silicon, or any abrasive substance… will not powder or cake in carved woods, crevices, etc. 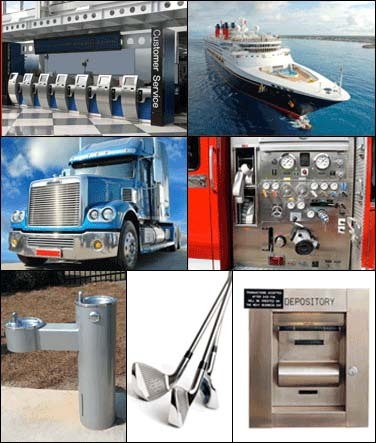 Our website address is: https://www.sheilashineinc.com.